A duty knife that can be carried every day, this tactical AXIS® Assist takes its styling cues from our legacy line of automatic knives. A stout handle with excellent palm swell provides ample grip and positive weight for striking with the carbide glass breaker. 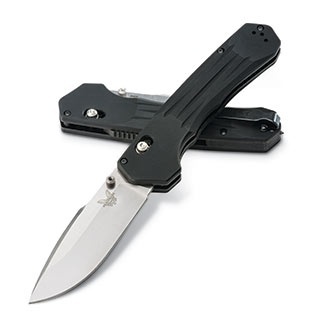 The unique mohawk spine design on the blade allows for great control without aggressive jumping. This knife will be your new EDC on and off the job.